You spend more than half of your life at work so you might as well do something you love, according to this businesswoman. 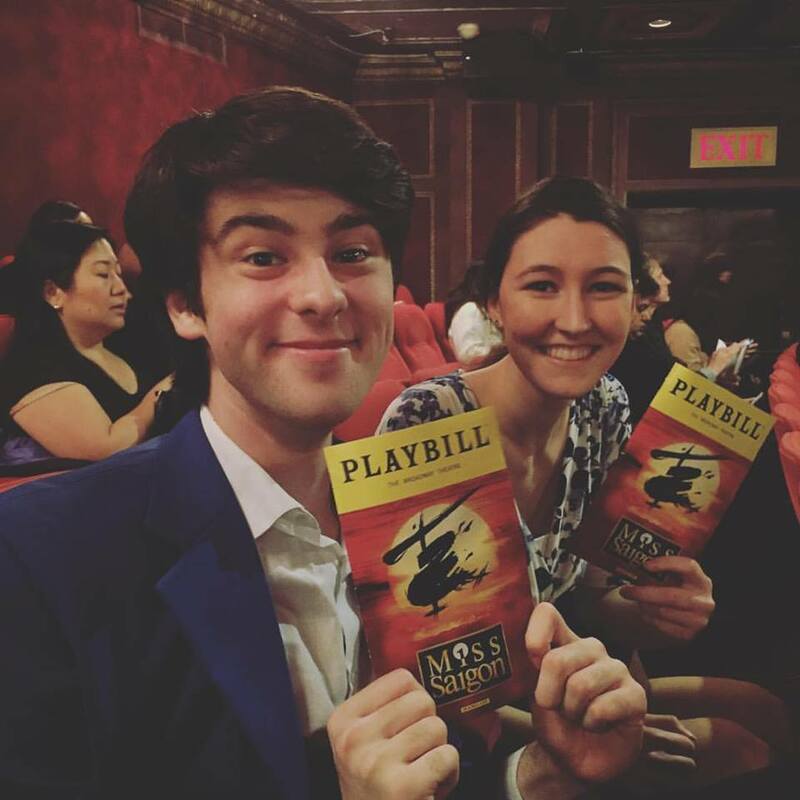 I’m Victoria Cairl and I am the VP of Business Development at Show-Score.com, a 17-month-old startup that serves theater lovers in New York. You could think of our site as a Rotten Tomatoes for theater, but it’s so much more than that. It’s a community of people who see shows, share their opinions, and discover great shows and deals through our platform. My dad left his job as a computer engineer to be a dog trainer when I was young. He taught me that being an entrepreneur is following your passion and finding a profit in it. You spend 70% of your life at work, you better love what you do. Now even on the most challenging days, I’m happy. It was a huge adjustment to go from working at big institutions like Lincoln Center or The Met Museum or Disney to a small team of people. I suddenly went from my own large office with a view of the Hudson to a small space where we all sit on top of each other. But that spirit of not just thinking up great ideas but figuring out how to execute them with a small team, it’s electric. I love that nimbleness I have now that was near impossible in larger institutions. We can come up with something on a Tuesday and have it live by Friday. It’s amazing. We had built this great online community for theater lovers where they could rate all the shows, see all the reviews and have access to all the discounts all in one place. 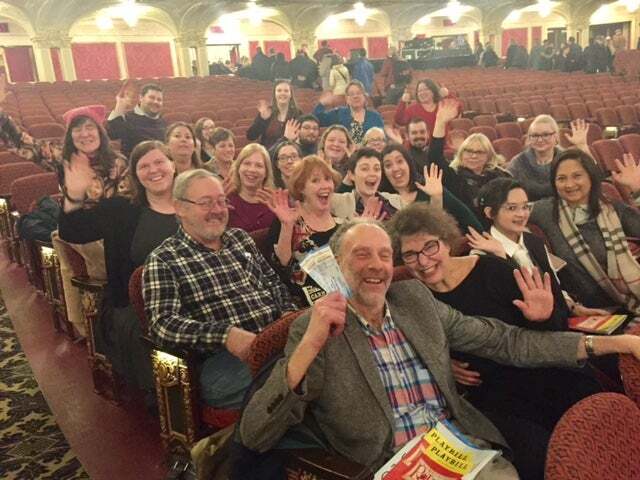 But our members wanted to connect in person and meet people who love theater as much as they do. We started doing “Show-Score Socials” where you buy into a group and go with other members to see a show, then hang out afterward. Not only have these nights been hugely popular, I’ve made friends with many of the members and gotten to know them in person and hear their take on a show right after they see it. More importantly, the members are connecting with one another. How did you discover this idea? We listen closely to our members and what they are telling us. I think it’s so important to make your customer feel heard. The best brands do this and as we build our brand, I think this is the key to our long-term success. What have you learned through attacking this problem? I have learned that every business, tech or otherwise, is really built upon humans after all. Tech brings convenience and connectivity but what difference would it make if it didn’t help people? I know how to “think like a person”. I happen to still be madly in love with Broadway, and sharing that trait with our members helps me understand where they are coming from. If you love seeing shows as much as I do, you want to see everything. But as a working Mom with three kids, I only have so much free time. And in thinking like a person, I want to be guided to see things I would love and not waste time seeing things that aren’t my taste. It’s now my job to lead people to what I love most: going to the theater and loving every minute of it. I have learned that being a good leader is being a true team player and building an organic culture you want to live in every day. Say “thank you”, be ready to assist rather than judge. Our business moves fast and we will never succeed without each other. I have never felt more team-centric or felt more a part of a family.